As a young girl, I can remember becoming aware of my not-s0-perfect skin. 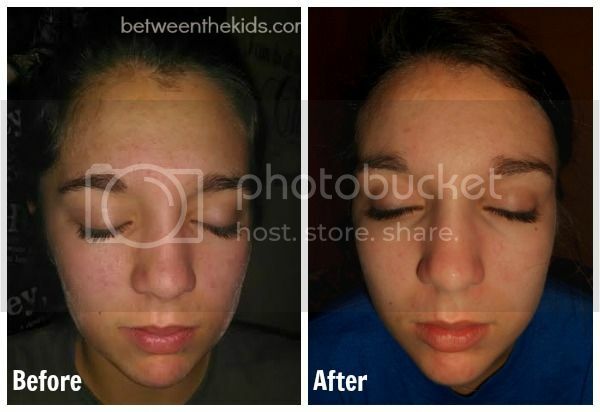 By the time I was a tween, I was embarrassed about my (what I know now is) mild acne, and by the time I was a teen, I can remember being so embarrassed when acne and pimple commercials would come on TV when I was around my friends, and I would do anything I could to cover up any imperfection on my face. I would never have been so brave as to do a public review of a product like Estroblock like my daughter. After all, it’s the first thing people (should) notice about you, right? That’s why I understand my teenager’s frustration with her acne. Even though I tend to look past it and never really notice any imperfections unless she messes with it to make it red or puts on too much makeup that it just cakes over the issue, she knows. She’s fully aware, and it’s a cruel age in which she’s growing up. What she doesn’t realize is that my face (and if I’m not mistaken, my mom’s too) was a lot more messed up (for lack of a better term!) than hers. We were recently given the opportunity to review a pretty awesome product, called Estroblock, that not only helps control acne, but hones in on the root cause and promotes over all health and wellness, too. Not only has Kylie noticed healthier skin, but she’s also said that she’s noticed that she doesn’t have such a big appetite and that her hair has grown faster and it feels great. Estroblock naturally clears toxic estrogens (estrones) from the body. These estrones are often produced by toxins commonly found in our food and homes that, left unchecked, will dilute our naturally produced hormones and cause major health problems such as acne, obesity, or even breast and prostate cancers. Ok so we’re talking about estrogen, so this product must be for females only, right? NO. 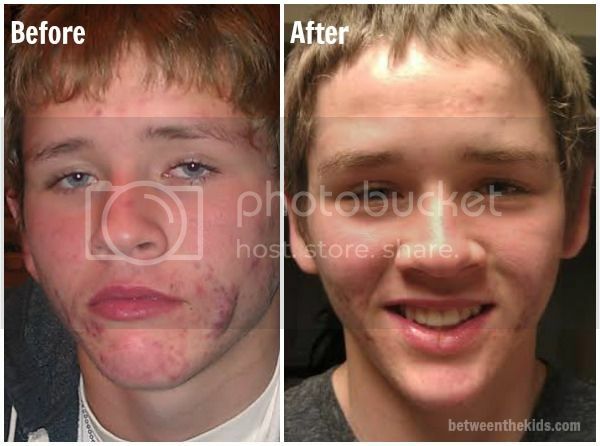 Further from wrong – and I know that for a fact, Jack, because our teenage neighbor was also given a thirty day supply to help improve his skin, and he told me that he has definitely noticed a big difference while taking Estroblock. Take a look for yourself! I much prefer to see my neighbor with a smile on his face! Both of these before and after photos are just from one month of use. I think these are tremendous results, and I’m excited to see what these two look like after months and months of use! For more great info and before and after photos, check out Estroblock on Facebook!